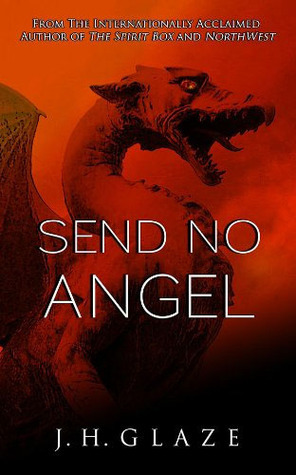 “Send No Angel” by JH Glaze is the third in his series about John Hazard, who was a policeman in “Spirit Box”, then hunted Aliens in “NorthWest” as part of a Paranormal investigation bureau, of which he is still a part of in “Send No Angel”. The story begins with two parallel narratives telling of separate gas fires being set but then the book takes us back to where “NorthWest” left us off, eight days prior to the fires. John and the survivors of his team return home after they have successfully mastered their challenges, but John’s girlfriend, Emily Sparks, has been on the run from some gangsters before joining John’s team and will need to face this dilemma now that they are returning back home. With some powerful help from John’s rich friend, Frank, they set out to rid Emily of the constant threat to her life. 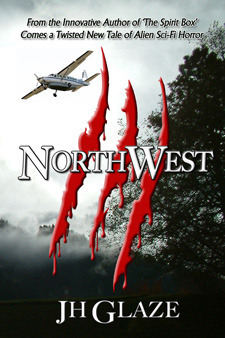 The connection to Frank however drags the Paranormal Investigators into a new adventure involving a portal that soon has Frank trapped in a different world, full of spirits and monsters, and it is John and Emily’s turn to go on a rescue mission. SO far for the plot as I can tell you without spoiling the experience. Once again Glaze writes his story in great prose of at times almost literary quality without this interrupting the easy flow or getting in the way of the ‘fun’ element of the book. The characters, human and non-human, are entertaining and creatively chosen. There is some great humour in this story and a lot of action and suspense all the way through. I personally loved the monsters in the other world best and I must admire the powers of Glaze’s imagination as he describes this new dimension or sphere. As the rescue mission is in progress there are a lot of hairy moments and nail biting situations that kept me on the edge of my seat, holding my breath. What pleased me most about this book however was that once more Glaze changed direction and made this instalment so different from the two before. There are references to the previous books but instead of following an easy and by all means probably rather successful formula Glaze never repeats himself. The great ideas of book one and two could easily have made for a series on their own but it seems that Glaze prefers to take his cast to new adventures instead. With that in mind it is possible to sit back and enjoy the fun ride – or scare ride, not having to worry about predictability and repetition. My only complaint is that this book was published today and I will most likely have to wait for some time before I get the next book in the series in my hands. I only recently discovered Jeff Glaze and his brand of horror. Hooked on his writing and aware that this was the last of his books that I hadn’t read yet I waited for an entire week before allowing myself to read it. This series of flash stories rely on a stranger to name a topic or prop that the author then incorporates into a short story. 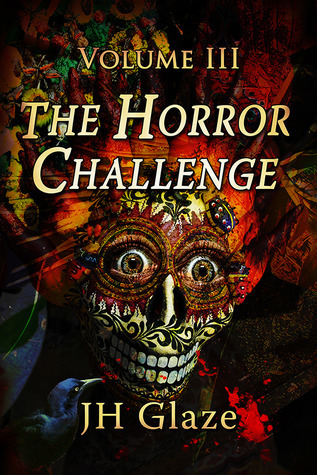 I was told that the stories of the Horror Challenge were getting better with each instalment and – although I didn’t think it possible – they were indeed. Well, not strictly better – the other two books are superb – , but once again each story was original and creative enough to be distinguishable as a work of art in its own right. 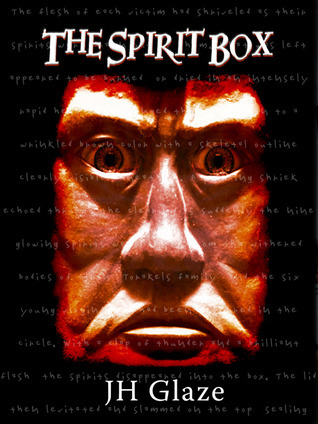 Whether it was a fascinating take on Voodoo, an almost amusing twist on the “kissing a frog” theme, a vegan’s lifetime ambition fulfilled other than he had expected – the stories all take unexpected turns or turn out somewhat differently from what one expects. While truly scary and gory at times there is also a lot of wit and humour in some of these stories, making the book a very worthwhile read. I am sorry to repeat what I have written in other reviews on Glaze, but his writing style and command of the language are outstanding and almost wasted on stories that could easily be enjoyed on the strength of their plot and subjects alone. Having the added bonus of the strong narratives and the well developed characters – achieved in such a short space of time – makes this another book I would like to recommend to all fans of the genre and those curious to give it a try at least once. Sir – I want more! Q. When do you know when a story has the potential for a whole book or when the idea is better in a short story? A. The ideas are developed according to the purpose. Foe example, The Horror Challenge stories are specifically meant to be shorts. They are based on suggestions from fans. My novellas are my ideas that I know I only want to write something short on. My John Hazard series is written on a concept that I then develop into a novel. The Novels allow me to pursue the longer adventure and I try to weave a lot of stories into them along the way. You may notice as I introduce characters in my novels, they are usually stories in themselves. Q. Tell us about the Horror Challenge, how did that come about? The Horror Challenge idea was developed to interact with my fans. I wanted to do something special that involved them. The first idea was to use them as characters in my stories. Since there are not usually many characters in the stories, it is easier for me to let them assign the topic. Not only does this involve my fans in my work, it is an excellent exercise in creativity. Q. How did you come up with John Hazard, the hero of several of your books. He is going through a lot of changes. Did you have a vision of him and where his life was going to go before you even started or how did his career develop? Q. What do you like most about John? Why did you choose him? A. What I like most about John is he is a no nonsense guy. For example, in NorthWest when Raj breaks his ankle and John leaves him, he knows that to try to carry the guy would slow them down to the point that all of them would be killed. You might not like his decisions sometimes, but often you know he is right. Q. What would he say about you? A. I think John would ask me why I write him as I do. I would tell him that a part of him is me. The GOOD part! Q. 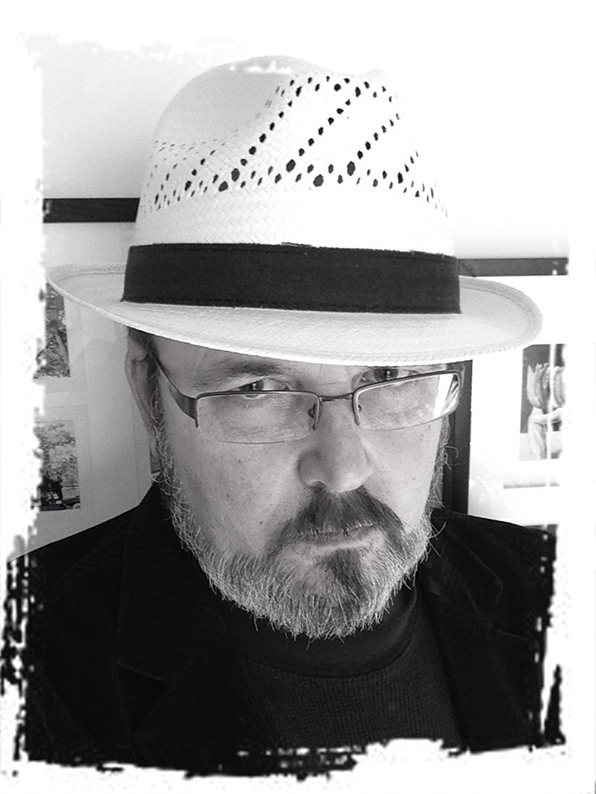 Who else are characters in your books that you hold dear – and why? A. Anybody is expendable, except Emily for now. Parts of Emily come from my wife Susan, and I like working with her character. I like to make her sensitive, but strong. Sometimes she is scared and I hide it from the reader, just as people do. Emily will be around for a while! Q. How do you balance writing and promoting your books? A. There is no balance. 10% of my time is spent writing – 90% promoting. Without the promoting part I would have no audience. I love writing, but if no one was reading it, it would not be as much fun. I love talking to fans. I love their feedback and ideas. Let me ask you, if a writer publishes a book in a vacuum, will anybody know it? Will anyone care? Will they keep writing? Probably not! Q. I am quite a fan of your style and linguistic skills (and of Susan’s editing). A. I never went to school for it, but I have always had an active imagination and wanted to do something with it. It wasn’t until 2009 that I decided it was time to try and write a book, or give up the dream of ever doing it. Q. What are the dynamics with an editor you are married to? A. We mostly agree on things, she knows me well enough that she knows my voice and when something needs a bit more work. I always tell folks that I write the stories, but she cleans up my mess. Q. How did you come to writing in the first place? A. I used to write a lot of poetry when I was a kid. I wanted to be a journalist after High School, but ended up hitch hiking around the country instead of going to school for it. Q. Does much change during your writing or is the story pre-written in your head? A. I tried using an outline on the first book. Halfway through I tossed it. I just start writing with a concept and my story writes itself, my characters take me on the journey. I just document it. Q. Would you say your books have messages beyond pure entertainment? A. Yes, but not by design. 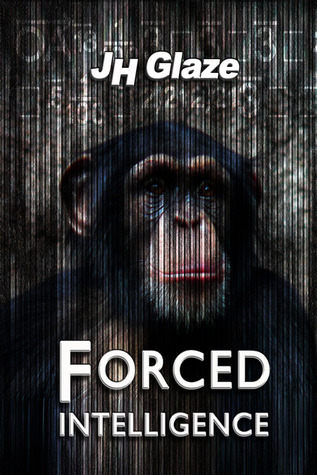 Forced intelligence has a message of knowledge without context, and one of the animal’s points of view. The Life We Dream contains a lot of my own perspective of the meaning of true love, and the impact love has on us, even when it seems an impossible dream. Q. What do you like most about writing and what least? A. I love telling stories. I hate that I can only type with 3 fingers! Q. What is your writing environment like? A. I can write anywhere, but my favorite places are in coffee shops or on public transportation. Q. What is your writing process like? A. I sit down and start writing. Then I get up for a smoke. Then I write some more. Lather, rinse, repeat. Q. Who are your cover artists? A. I do all of my own cover art. I tried to work with an illustrator once, but he kept telling me he would be starting the work soon, but he never did start it. Love Jeff and his books.